When choosing an architectural style for your new home, there are a number of things to consider. Some people focus on the practical aspects of a home, while other view homes as works of art. Still others view them as living history. In the U.S., the National Register recognizes many homes as cultural resources worthy of being preserved. Charleston, South Carolina was the first historic district, established in 1931. The city government designated it by a local ordinance, which also created an architectural review board to oversee preservation efforts. New Orleans wanted to maintain the historic character of the city and established the Vieux Carré Commission in 1937, which was authorized to maintain the city's famous French Quarter. Historic homes in Australia are referred to as living museums and are visited nearly as often as museums are. Nearly a million people visit a historic home in New South Wales every year. These homes provide a sense of continuity to local communities and serve as a bridge from the past to the present, maintaining the human connection throughout the generations. Guildford, located in Western Australia, is an example of a historic town. From the many styles of homes to choose from, two of the most popular styles for those with a love of the art of preserving history, the Victorian and Art Deco styles are among the most popular architectural styles. Victorian architecture includes a number of styles that emerged during the reign of Queen Victoria between 1830 and 1910. 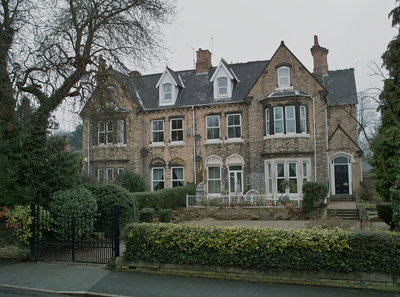 Gothic revival, Romanesque, and Queen Anne style homes can all be considered Victorian. The style reflects the belief that architecture and home furnishings should be beautiful, not just practical. Mass production made possible by the invention of steam power resulted in many more decorative and ornamental elements to Victorian homes. Cars hadn't yet been invented when many Victorian homes were built, and so many don't come with garages. It wasn't until 1908, when Ford released the Model T, that the use of automobiles became more widespread. On some historic properties, coach houses or stables have been converted to garages. Fortunately, there are custom garage doors which can help to preserve the original character of the home as much as possible even while modernizing certain aspects. There are some stunning examples of this style of architecture in both the U.S. and Australia. Some famous examples in the U.S. include the Chrysler Building and the Empire State building in New York and and the McGraw Hill Building in Chicago. 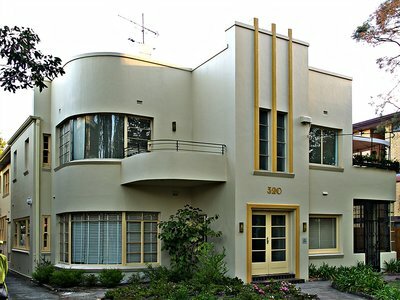 Individual homes in this style are relatively rare, but art deco apartment buildings are more common. Because they are rare, owners go to great lengths to preserve their unique beauty. The style combines the use of the circular, trapezoidal and rectangular shapes of cubist art with the glamour of the silver screen. Art deco style architecture almost demands that the same style be utilized in home furnishings and decoration. Like Victorian homes, most art deco architecture construction took place before many modern conveniences, such as electricity, were invented. That means that they often require modernization by owners dedicated to preserving their beauty while equipping them with modern conveniences. We all owe a debt of gratitude to those who choose to purchase and preserve these living works of art. While restoration and repair can be costly, it is difficult to put a price on beauty or a value on history. However, those costs can be considered a wise investment, not only in terms of increasing the resale value of the property, but as an investment in the future of the community. In addition to providing a living history lesson for local young people, tourists from all over the world visit these historic homes, which contributes to local economies. That's one reason that their owners sometimes qualify for economic assistance in maintaining them. The ability to appreciate architectural beauty is something that all of humanity has in common. No matter what continent we live on or what language we speak, we are all fortunate to be able to enjoy the welcoming beauty of these well- preserved historic homes.